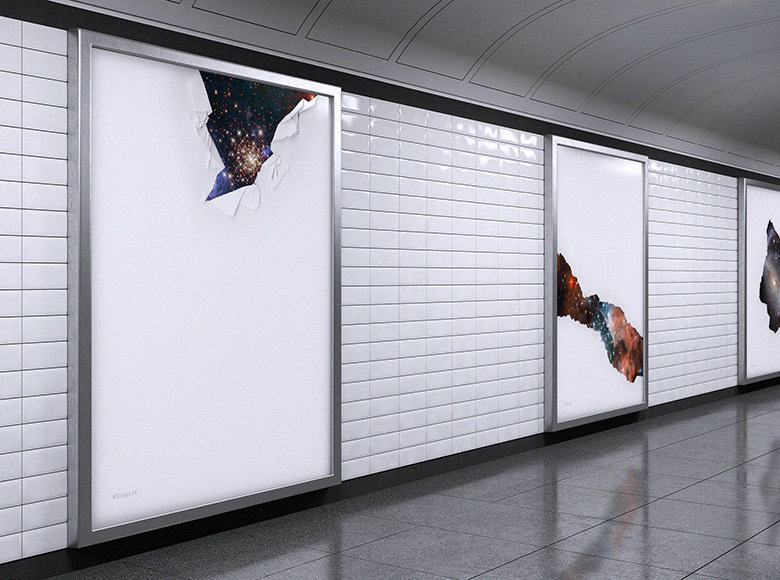 to occupy advertising spaces in the Paris Metro for the duration of the festival. 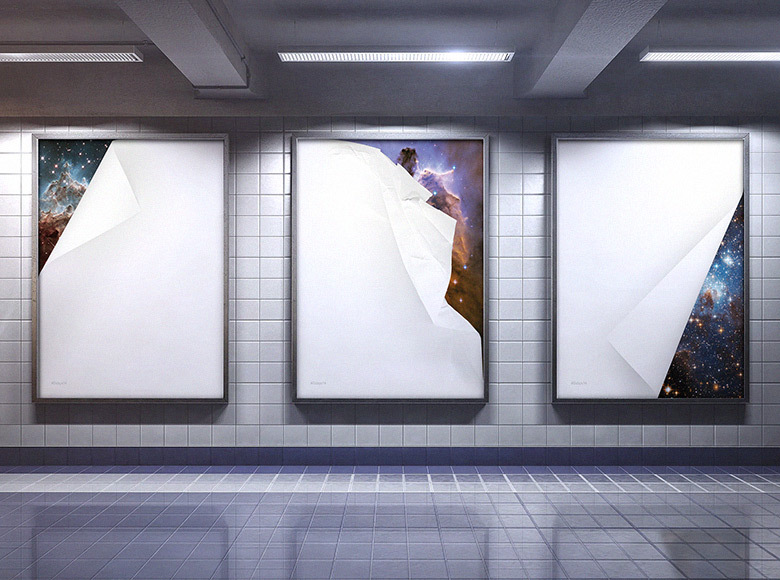 a genuine and gratuitous moment of visual silence. 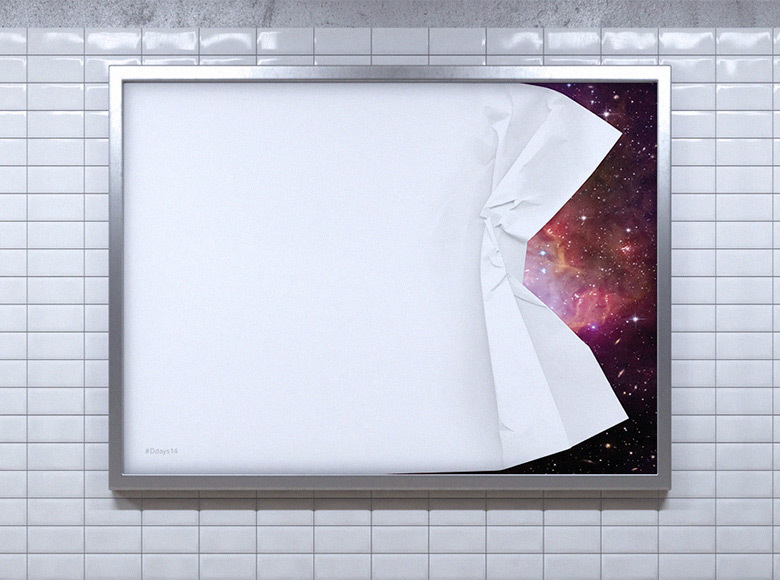 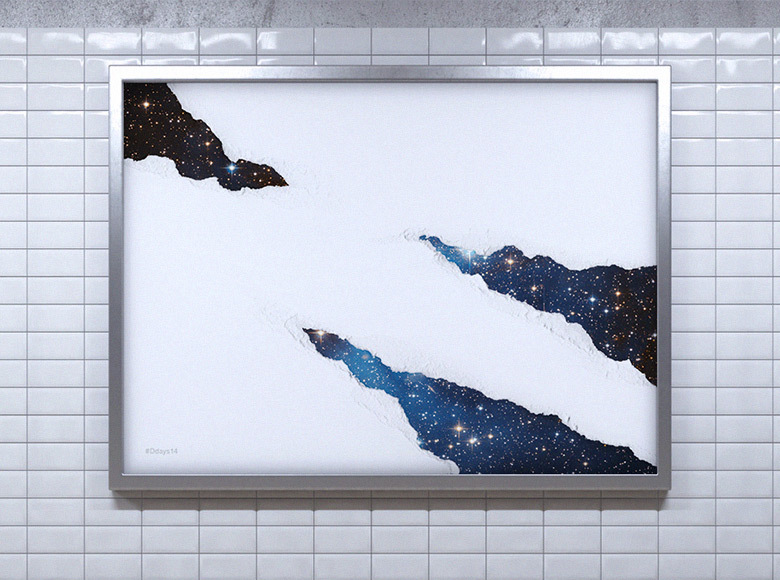 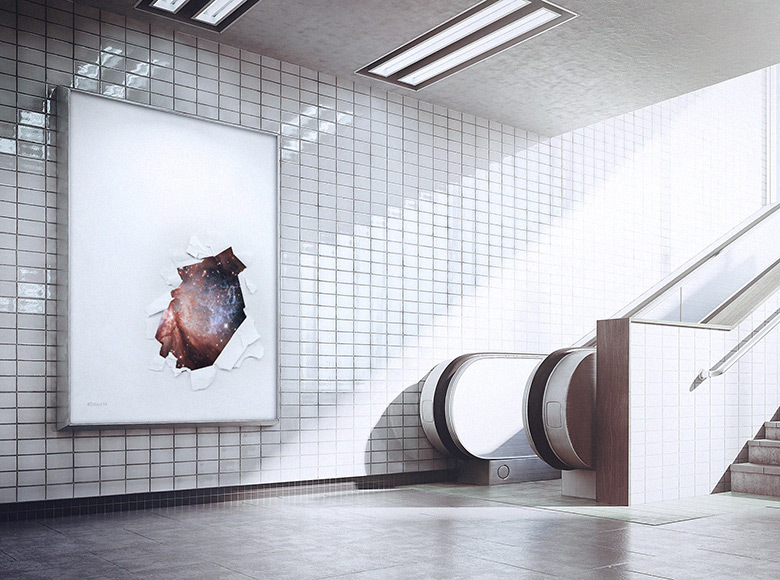 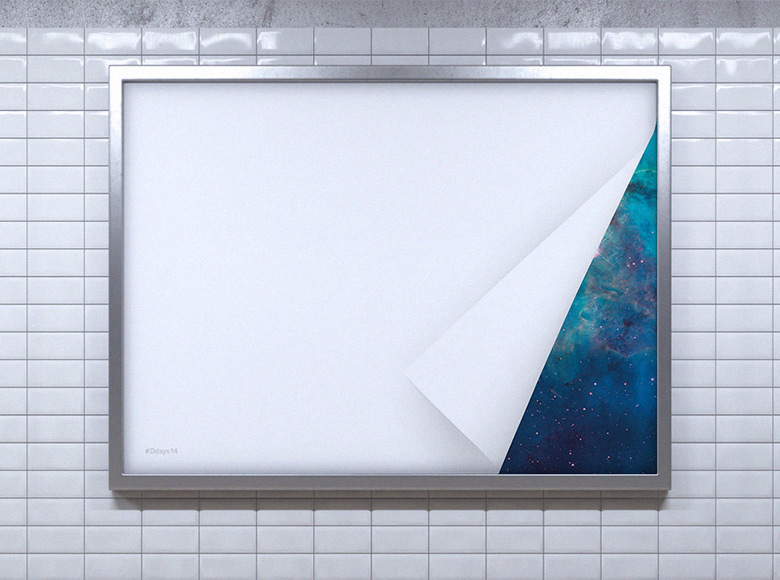 This series of “meta-posters” revealed marvelous high-res images from the Hubble Space Telescope, inviting passers-by to virtually escape the closed and visually cluttered corridors of the subway.